A wedding day is full of unexpected little moments: looks exchanged with your loved one, small gestures of affection, big bursts of laughter, … So I keep it simple and shoot mostly in a documentary style. 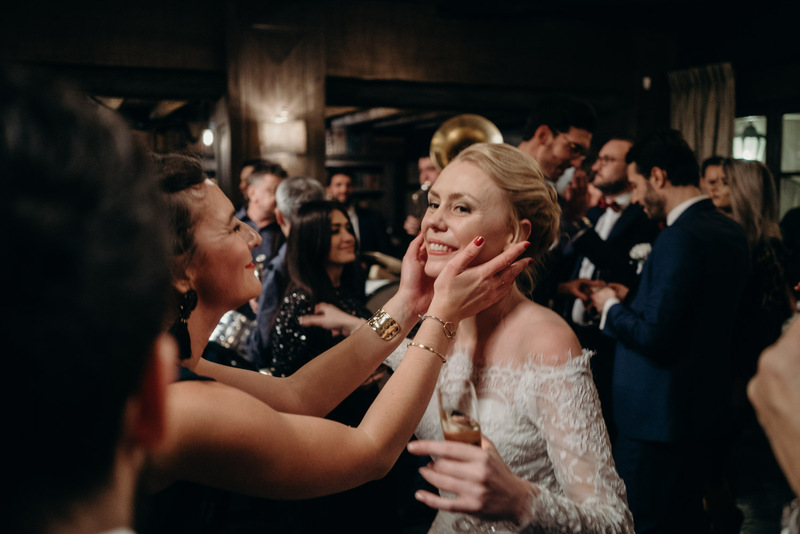 From the moment you’re getting ready with your best friends until when you show your best moves on the dancefloor, I can be there to capture your big day so it’ll live forever. Tell me more about your wedding day so we can find the package that works for you! While you’re spending a special moment with your loved one, I’ll capture beautiful pictures to share with your family or keep preciously just between you two. Send me a message so we can organize a photosession and together create pictures which will tell YOUR story! We are not comfortable in front of a camera. Are you going to direct us? On your wedding day, I will be very discreet, melting into the crowd, in order to take natural and spontaneous pictures. You will forget that I am there! For the couple photos, I will guide you through it in order to make you as comfortable as possible and catch your natural beauty. Our wedding will take place in ***. Would you go there? Yes ! Berlin, Geneva, Paris, Italy, Sweden, Iceland. No matter the place I will come with pleasure! Let’s talk to find the best solution for my travel and accommodation requirements. How many pictures will we received? I don’t give a fix number because every wedding is unique and I select the best pictures without counting. In general, for a whole day you will receive approximately 600 photos. Yes. I change the colorimetry, the luminosity and the contrast on every picture so they are harmonious altogether, and I erase some small imperfections on a few pictures. But no need for more, you are beautiful as you are! You must allow 4 weeks to receive the pictures on USB-stick and a cute giftbox in your mail box. Your guests will have access to an online gallery where they can see and download the pictures. First, we will have a meeting to get to know each other (possible on Skype) and to discuss about the package that suits you the best. Then, once the contract is signed and an advance of 30% is paid, your booking will be confirmed. Last question, why “La Grande Rousse”? In French, it means “the tall red-haired”.